Isiah Thomas joins via arena link to speak on Jeremy Lin and if Toronto can claim the top seed in the East. Jeremy Lin gets a standing ovation as he's checked into the game for the first time as a Toronto Raptor. Appeared in 71 games (33 starts) for the Houston Rockets in his fourth NBA season, averaged 12.5 points, 2.6 rebounds, 4.1 assists, 1.0 steals and 0.4 blocks in 28.9 minutes... Missed a total of six games with a grade-one sprain and contusion of the right knee, which he injured vs. Atlanta (11/27/13): DND for four games (11/29/13, 12/4/13-12/8/13) and NWT two games (11/30/13-12/2/13) … missed four games (12/15/13-12/21/13) with back spasms … came off the bench to lead the Rockets with 31 points (10-17 FG, 3-6 3FG, 8-9 FT) in a 110-104 2OT win vs. Toronto (11/11/13), netting Houston’s most bench points since Carl Landry’s 31 points at Phoenix (1/6/10) … registered 34 points (10-19 FG) and 12 assists in a start at Philadelphia (11/13/13), while going a career-best 9-of-15 from downtown (tied for second most 3-pointers made in Rockets history) … his 65 points over two outings (11/11/13-11/13/13) marked the best twogame total of his career … recorded 13 points (5-10 FG), a game-high eight assists and two blocks in a 111-98 win at San Antonio (12/25/13) … scored 14 of his 18 points (5-13 FG, 2-4 3FG) in the fourth quarter of a 100-92 comeback win vs. Memphis (12/26/13), which included all six of his makes from the free throw line (6-6 FT) … he then scored all 10 of his points in the fourth quarter of a 107-98 victory vs. New Orleans (12/28/13) … added 16 points (5-7 FG, 5-6 FT), nine assists and three steals at Boston (1/13/14) … reached 10-plus points in a season-high seven straight outings (12/31/13-1/15/14) … collected 18 points (8-14 FG, 2-3 3FG), seven boards and a game-high seven assists in a start at Dallas (1/29/14) … posted the first triple-double of his career vs. Cleveland (2/1/14), collecting 15 points (6-12 FG), a career-high 11 boards (had 10 on 11/2/12 at Atlanta) and 10 assists in 29:11 off the bench … stands as the first Rockets reserve to register a triple-double since Cedric Maxwell on Mar. 31, 1988 at Indiana (23 pts., 15 rebs., 10 assts.) and became just the third NBA player since 1985-86 to record a triple-double off the bench playing less than 30 minutes … collected 26 points (7-17 FG, 10-12 FT) in a 118-113 OT win vs. Portland (3/9/14), netting a team-high six points (2-3 FG) in the extra session … added 21 points (7-13 FG, 6-6 FT) at Chicago (3/13/14), marking his seventh 20- point game of the season … came off the bench with 17 points (7-10 FG), nine assists and two blocks vs. Utah (3/17/14) … registered 11 points (4-7 FG) and a game-high 10 assists vs. Minnesota (3/20/14), marking his third double-double of the season. 2012-13: In his first season with Houston, averaged 13.4 points, 3.0 rebounds, 6.1 assists and 1.63 steals in 82 games (82 starts) … led the Rockets in assists per game (6.1) and stood T-14th in the NBA in steals per game (1.63) … led (or tied) the Rockets in assists a teamhigh 45 times, in points on six occasions and rebounds in two games … picked up 16 20-point performances (Rockets record: 10-6), including one 30-point outing … reached double figures in points in a season-best 10 straight outings twice on the season (2/27/13- 3/20/13 and 3/30/13-4/17/13) … Rockets racked up a record of 18-7 when he reached at least eight assists in a game … had a team-high 10 games with at least four thefts, which were the most by a Rockets player in a season since 14 by Tracy McGrady (2004-05) … recorded at least one theft in 19 consecutive games (12/14/12-1/16/13), marking the longest such streak of his career (prev. long: 13 from 2/17/12-3/14/12) … finished with nine double-doubles, nine outings with 10 or more assists and one double-digit rebounding game … participated in the 2013 Taco Bell Skills Challenge as part of State Farm All-Star Saturday Night in Houston (2/16/13) … recorded 12 points (5-12 FG), eight assists and four steals in his Rockets debut at Detroit (10/31/12) … tallied 21 points (6-16 FG, 7-8 FT), a career-high 10 rebounds and seven assists at Atlanta (11/2/12) … set a career high with six steals vs. Denver (11/7/12) … tied his career best in blocked shots with a team-high three vs. Miami (11/12/12), matching his three blocks at Chicago (3/12/12) … registered 11 points (3-8 FG) and a season-high 11 assists at Portland (11/16/12), adding 10 dimes in the next game at the L.A. Lakers (11/18/12) … finished with 16 points (7-9 FG), 10 assists and three steals vs. Toronto (11/27/12) … tied his career high of 38 points (11-21 FG, 4-5 3FG, 12-12 FT) vs. San Antonio (12/10/12) … returned to MSG with 22 points (9-15 FG) and a game-high nine assists in a 109-96 win at New York (12/17/12) … collected 15 points (5-12 FG) and a season-high-tying 11 assists vs. Memphis (12/22/12) … totaled 20 points (8-12 FG) and another seasonhigh- tying 11 assists at Chicago (12/25/12) … registered 21 points (9-16 FG), eight assists and four steals at San Antonio (12/28/12) … recorded 16 points (6-11 FG), eight assists, four steals and two blocks in a 123-104 win vs. Atlanta (12/31/12) … collected 19 points (7-13 FG), six rebounds, five assists and four steals in a 125-112 win vs. the L.A. Lakers (1/8/13) … chipped in with 12 points (5-11 FG) and 10 assists vs. the L.A. Clippers (1/15/13) … matched his career-high six steals in a 100-82 victory at New Orleans (1/25/13) … posted 12 points on 5-of-5 shooting (1-1 3FG, 1-1 FT) in a 125-80 win at Utah (1/28/13), adding a game-high seven assists and three steals … had a game-high 28 points (10-16 FG) and nine assists in a 140-109 win vs. Golden State (2/5/13), which included hitting a career-best five treys (5-8 3FG) … tallied 14 points (8-8 FT) and 10 assists at Golden State (2/12/13) … collected 29 points (12-22 FG, 3-5 3FG), seven assists, six boards and two steals in a 122-119 win vs. Oklahoma City (2/20/13) … finished with 21 points (8-14 FG, 4-5 FT) and a game-high nine assists vs. Dallas (3/3/13) … totaled 24 points (8-15 FG, 3-8 3FG, 5-6 FT), eight assists and four steals vs. Minnesota (3/15/13) … netted 21 points (9-16 FG, 3-5 3FG) vs. Golden State (3/17/13) … registered 24 points (9-13 FG, 5-6 FT) and six assists vs. Utah (3/20/13), which gave him three consecutive 20-point games for the first time since notching three in a row from 2/17/12-2/20/12 … notched 19 points (8-16 FG) and a season-high-tying 11 assists vs. Orlando (4/1/13) … recorded 15 points (3-6 3FG) and 10 assists at Sacramento (4/3/13), marking the third time on the season to dish out double-digit assist totals in two straight games. 2011-12: After being claimed by New York off waivers on Dec. 27, exploded onto the NBA landscape by averaging 18.2 points, 7.6 assists and 2.00 steals with seven double-doubles in 25 starts with the Knicks … actually eclipsed the 10-assist mark seven times … became the first NBA player to record at least 20 points and seven assists in each of his first five NBA starts since Elias Sports Bureau began charting stats in 1970 … was also the first Knicks player since Michael Ray Richardson in 1980-1981 to record at least 20 points and seven assists in six straight games … had the most total points (136) by a single player in his first five starts since 1976-77 NBA merger … made his first career NBA start in a 99-88 win vs. Utah (2/6/12), posted 28 points (10-17 FG, 7-9 FT), including 13 in the fourth quarter, eight assists and two steals over 45 minutes … according to Elias Sport Bureau, his 28 points and eight assists were the most points/assists in a first career start since Detroit’s Isiah Thomas (31 points and 11 assists on 10/30/81 vs. Milwaukee) … registered a career-high 38 points (13-23 FG, 10-13 FT) and seven assists in a 92-85 victory vs. the L.A. Lakers (2/10/12) … notched 20 points, eight assists, six rebounds and three steals in a 100-98 win at Minnesota (2/11/12), including the game-winning free throws with 4.9 seconds left in the game … was named the Eastern Conference Player of the Week for games played Feb. 6-12, leading New York to a 4-0 record with averages of 27.3 points, 8.3 assists and 2.00 steals … posted 27 points (2-2 3FG) and 11 assists at Toronto (2/14/12), including the game-winning 3-pointer with :0.05 left to play in a 90-87 decision over the Raptors … recorded 28 points (11-20 FG, 3-6 3FG), a career-high 14 assists and a career-best five steals in a 104-97 victory vs. Dallas (2/19/12), becoming the fifth player in the last 15 seasons to reach at least 28 points, 14 assists and five steals in a game (Elias Sports Bureau) … pulled down a career-high seven rebounds vs. New Jersey (2/20/12) and seven at Indiana (3/17/12) … missed the final 17 games of the regular season and the playoffs with a chronic small meniscal tear in his left knee … also assigned to Erie of the D-League on Jan. 17, recording 28 points (9-17 FG, 10-11 FT), 12 assists and 11 rebounds in his lone game with the BayHawks at Maine (1/20/12). 2010-11: Appeared in 29 games with Golden State, averaging 2.6 points, 1.2 rebounds, 1.4 assists and 1.14 steals in 9.8 minutes per contest … on inactive list 30 times and registered 23 DNP (CD) … recorded 10-plus points twice … made NBA debut vs. the L.A. Clippers (10/29/10) … posted a season-high 13 points in 18 minutes at the L.A. Lakers (11/21/10) … assigned to the Reno Bighorns of the NBA D-League three times during the season … appeared in 20 games (10 starts) over three stints with the Bighorns, averaging 18.0 points, 5.8 rebounds, 4.3 assists and 2.00 steals in 31.7 minutes per contest … recorded 20-plus points nine times with Reno and registered one double-double … named D-League Co-Performer of the Week for the week of Jan. 10 after averaging 20.3 points, 5.8 rebounds, 5.0 assists and 2.80 steals in four games, leading the Bighorns to a 4-0 record on the week … named to the NBA D-League Showcase First Team. Undrafted in the 2010 NBA Draft out of Harvard … signed as a rookie free agent with Golden State on July 21, 2010 … assigned to the Reno Bighorns of the NBA D-League three times in 2010-11 (assigned 12/28/10 and recalled 1/3/11; assigned 1/9/11 and recalled 2/5/11; assigned 3/17/11 and recalled 3/27/11) … waived by the Warriors on Dec. 9, 2011 … claimed off waivers by Houston on Dec. 12, 2011 … waived by the Rockets on Dec. 24, 2011 … claimed by New York off waivers on Dec. 27, 2011 … assigned to the D-League’s Erie BayHawks on Jan. 17, 2012 … recalled by the Knicks on Jan. 23, 2012 … signed as a restricted free agent by the Rockets on July 17, 2012, after New York chose not to match Houston’s offer sheet ... traded by the Houston Rockets with a 2015 1st round draft pick and a 2015 2nd round draft pick to the Los Angeles Lakers for Sergei Lishchuk on July 15, 2014. Played all four years at Harvard, appearing in 115 games (87 starts) … averaged 12.9 points, 4.3 rebounds, 3.5 assists and 1.96 steals in 29.2 minutes per game … became the first player in Ivy League history to record 1,450 points, 450 rebounds, 400 assists and 200 steals … ranks first all-time at Harvard in games played (115), second in steals (225), fifth in points (1,483) and fifth in assists (406) … named All-Ivy League First Team as a junior and senior … named USBWA All-District 1 First Team and NABC All-District 13 as a senior and was one of 11 finalists for the Bob Cousy Award … earned NABC All-District 1 First Team as a junior … named All-Ivy League Second Time as a sophomore … appeared in 29 games (all starts) as a senior, averaging 16.4 points (.519, 149-287 FG), 4.4 rebounds, 4.5 assists and 2.45 steals in 32.2 minutes per game … during his junior campaign, was the only player in the nation to rank in the top-10 of every significant statistical category in their respective conference. 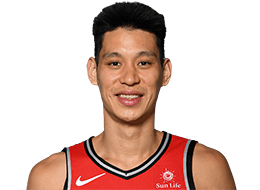 Born Jeremy Shu-How Lin on Aug. 23, 1988, in Palo Alto, California … son of Gie-Ming and Shirley Lin … has two brothers, Joseph (younger) and Josh (older) … on Golden State’s road trip to Boston in Mar. 2011, returned to the Harvard campus to pickup his degree, as he was unable to participate in the graduation ceremony the previous summer due to conflicts with preparing for the NBA … after signing with the Warriors in the summer of 2010, traveled to Taipei to take part in Yao Ming’s Charity games … was his first trip to Taiwan, the birthplace of both of his parents, since he was seven years old … a four-year letterwinner and three-year starter at Palo Alto High School … captained his high school team to the CIF Division II State title by scoring 17 points in a upset of nationally ranked Mater Dei in the finals (51-47) … three-time First-Team All-Santa Clara Valley Athletic League selection at guard … two-time SCVAL Most Valuable Player … as a senior, named Northern California Division II Player of the Year, Northern California Scholar Athlete of the Year and First-Team All-State … also named Player of the Year as a senior by the San Francisco Chronicle and San Jose Mercury News … earned a 4.2 GPA in high school … was a summer intern for California senator Joe Simitian during high school … earned school’s President Award as Vision New America 2004 Scholarship award … enjoys spending time with family and friends, listening to music, playing cards and video games, as well as going to church.